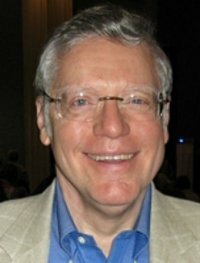 Jungian analyst John Beebe and author has written more than thirty film reviews, most published in Jung Journal: Culture & Psyche or its predecessor, The San Francisco Jung Institute Library Journal. John has spearheaded a Jungian typological approach to the analysis of film. In his over 150 publications, he has often used psychological type and archetype to explore developments in the cultural and political unconscious. "Psychological types in transference, countertransference, and the therapeutic interaction." Chiron, 1984, pp. 147–161. "Comment on Soren Ekstrom’s paper 'Jung’s Typology and DSM-III Personality Disorder.'" Journal of Analytical Psychology, 33:4, 1988, pp. 345–350. "A New Model of Psychological Types." (recorded workshop, Evanston, IL, April 9–10, 1988). "Response to Charles Sides’s 'Psychological types and teaching writing.'" Writing on the Edge, 1:2, Spring 1990, pp. 41–43. "Identifying the American shadow: typological reflections on the Los Angeles riots." Psychological Perspectives, 27, 1992, pp. 135–139. "The Wizard of Oz: A vision of development in the American political psyche." Book chapter in Thomas Singer (ed. ), The Vision Thing: Myth, Politics and Psyche in the World (New York: Routledge, 2000, pp. 62–83). "An Archetypal Model of the Self in Dialogue." Theory & Psychology, Vol. 12, No. 2, 267-280 (2002) online version (includes an analysis of Woody Allen’s “Husbands and Wives”). "Can there be a science of the symbolic?" Journal of Analytical Psychology, 49:2, 2004, pp. 133–184. "Understanding consciousness through the theory of psychological types." Book chapter in Analytical Psychology, Joseph Cambray and Linda Carter (eds). (London and New York: Brunner-Routledge, 2004, pp. 83 –115).